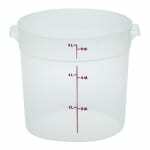 The Cambro RFS6PP190 food container is made of polypropylene to guard against scratches and chemicals. Translucent material ensures contents can be partially seen, while measurement markings on the outside speed up inventory checks. 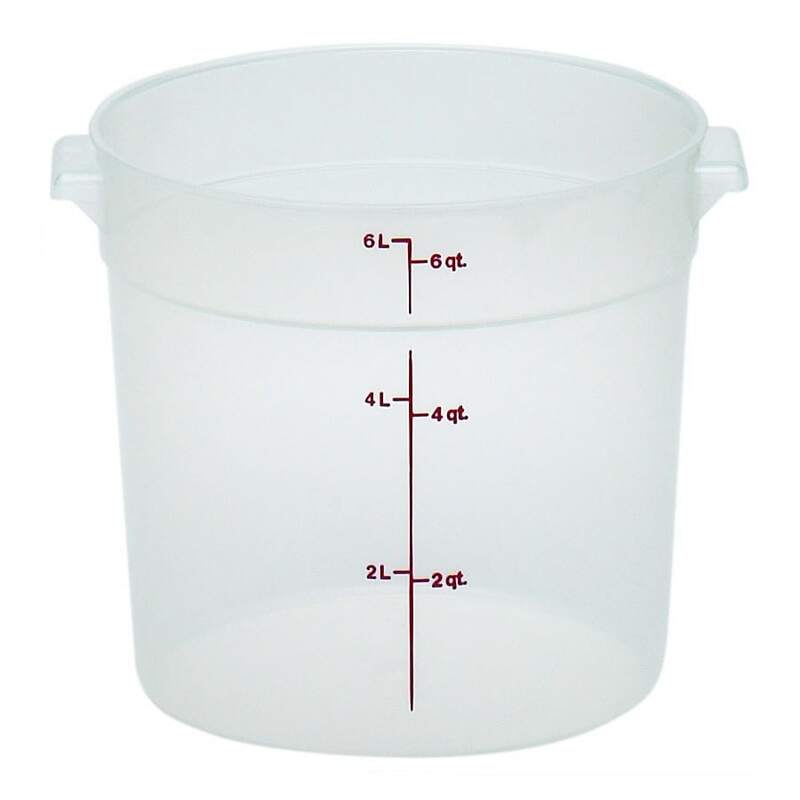 Withstanding temperatures from -40 to 160 degrees Fahrenheit, the container is dishwasher safe. Need more information before deciding? Visit our food container guide to learn more.